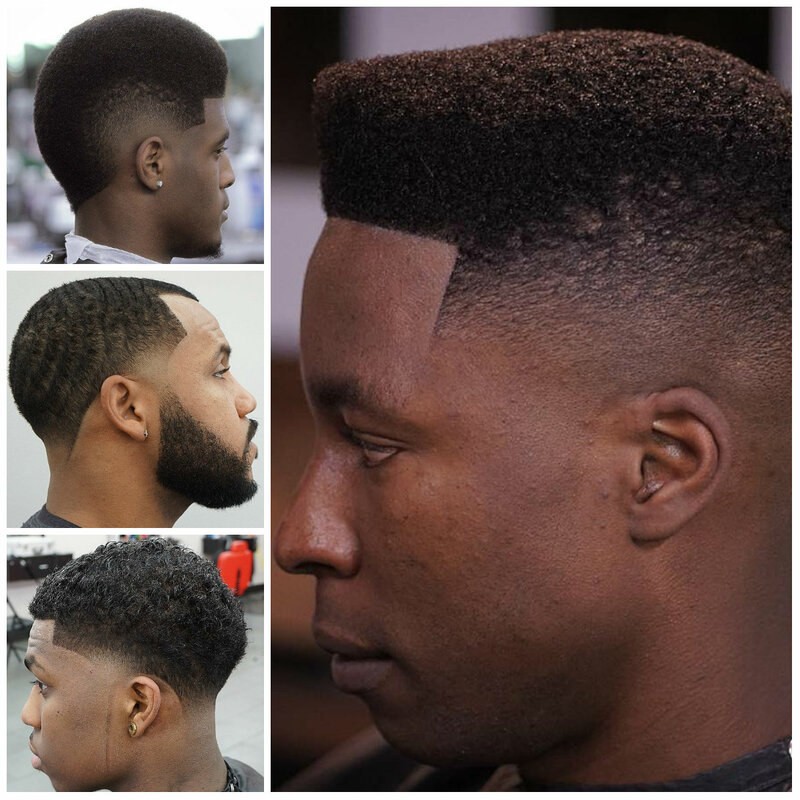 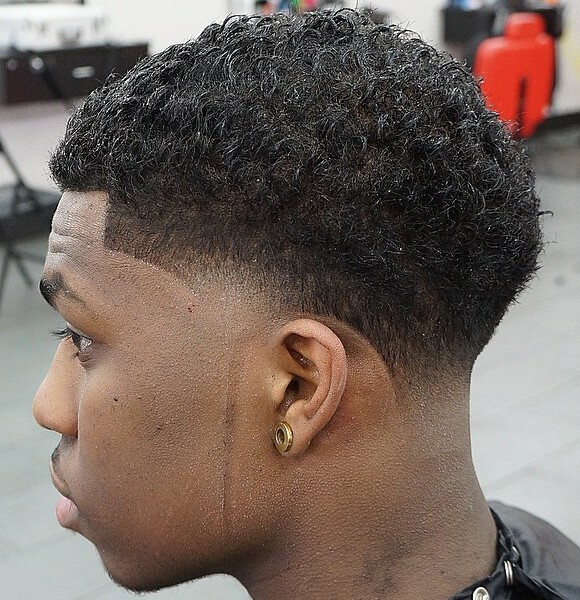 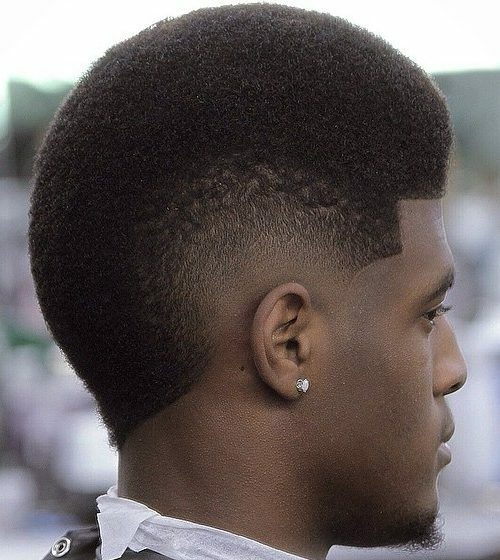 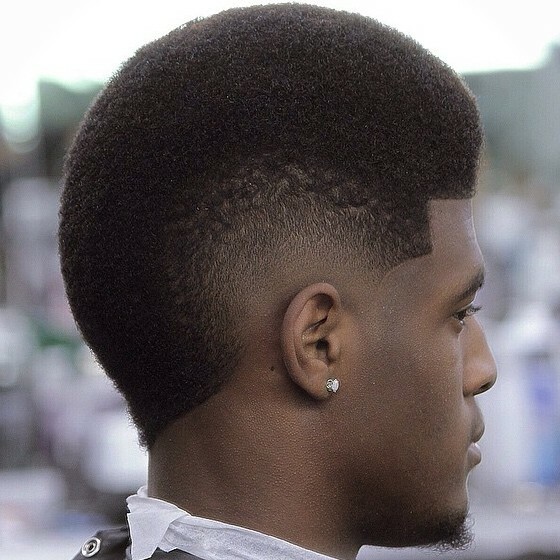 Black men’s hairstyles take on sleek and chic forms when they are waved and paired with creative patterns. 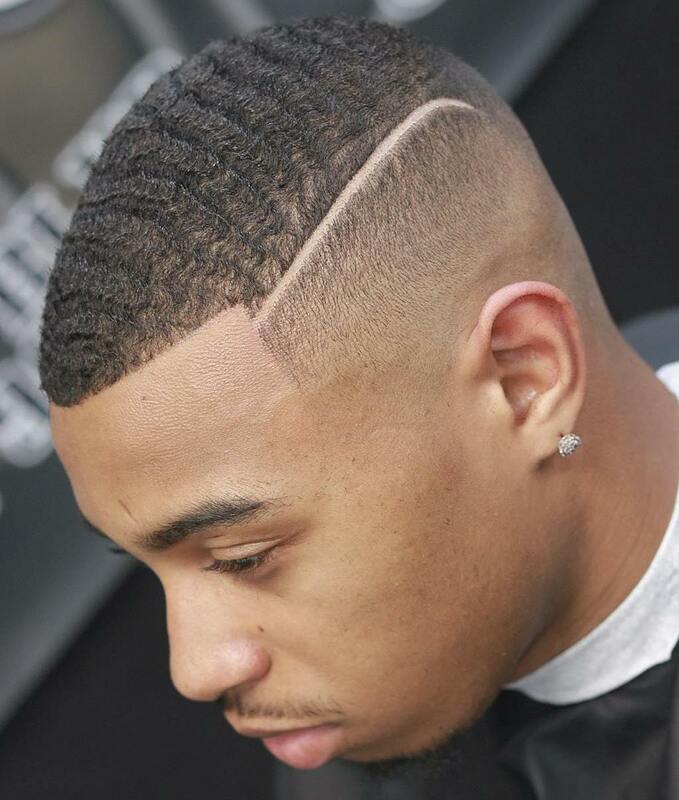 This faded cut with a thick, shaved part is running from a forehead to create a cool and funky look. 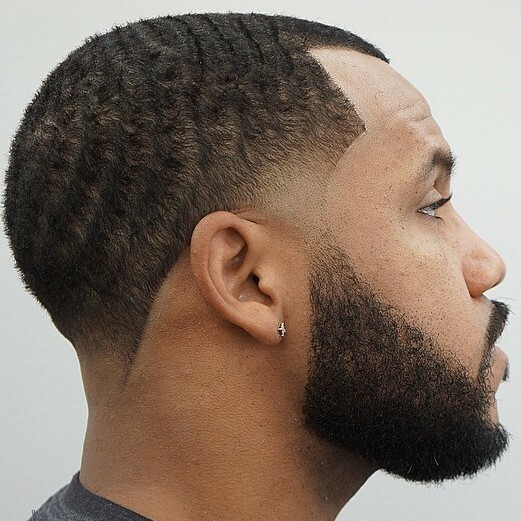 It is a hairstyle for all occasions and it looks great without facial hair as well. 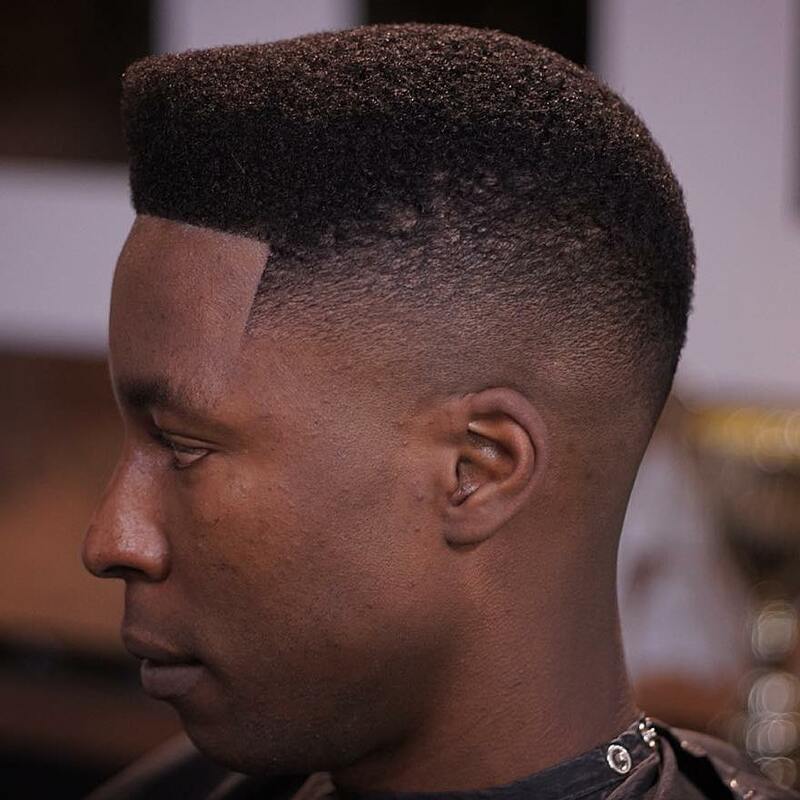 However, go for regular touchups to keep the design in form.